You probably heard of it or seen it on Drake’s “Views from the 6” album cover. 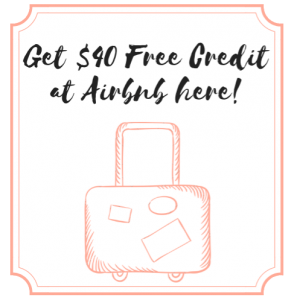 One of the most well known attractions in the city of Toronto, Ontario, Canada is the CN Tower. You have to go see it when you at least get to go to the Toronto as it is a landmark that stands out among the city. 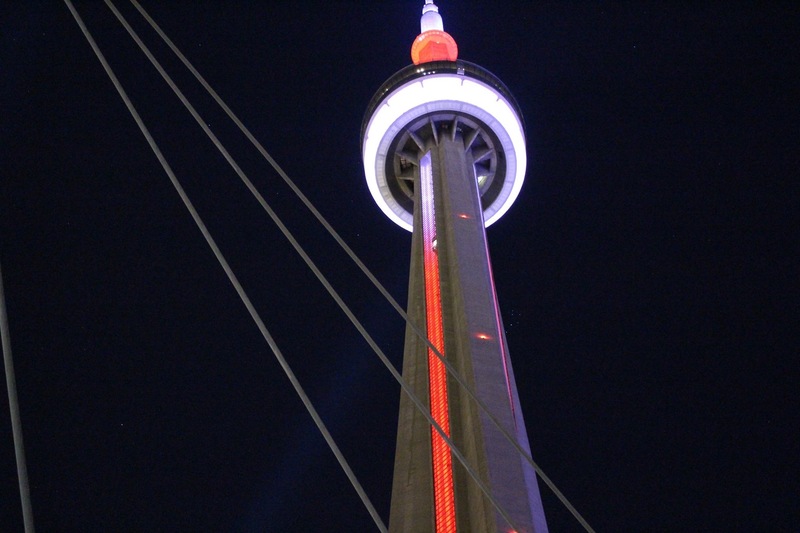 The CN Tower is an observation tower that was built by the Canadian National, a rail road company, in 1973 and completed in 1976. It was once known as the tallest building in the world and holding its record for 34 years until other buildings knocked it off its place. However, it’s still the third tallest and one of the tallest towers you’ll probably ever step foot in this lifetime. In 1995, the American Society of Civil Engineers declared it as one of the modern Seven Wonders of the World. 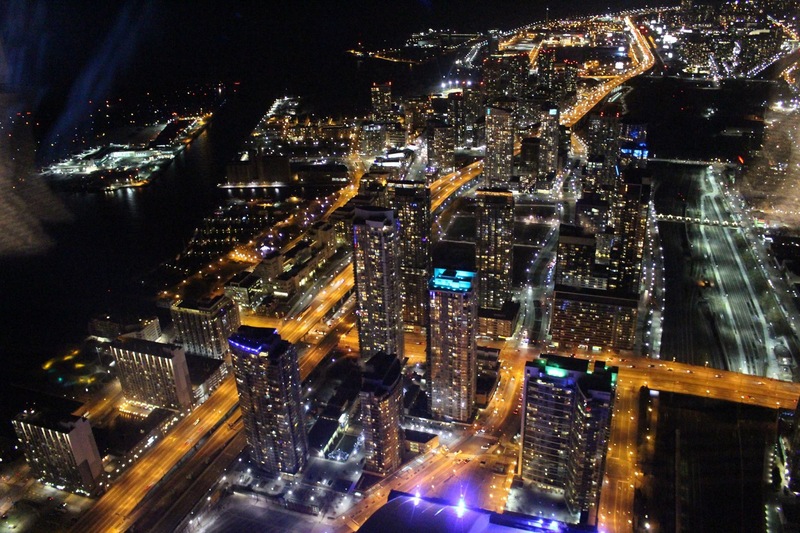 My friend David and I took a road trip to Canada in the beginning of last month and one of the stops was Toronto. With our city passes, we had the opportunity to visit this tower. It didn’t look THAT tall just by looking at it… not until you get into the elevator and go up. As someone who is terrified of heights, I instantly had a nervous feeling looking out (the doors of the elevator were all clear). Once, we arrived to the top floors with the observation decks, there was a lobby. 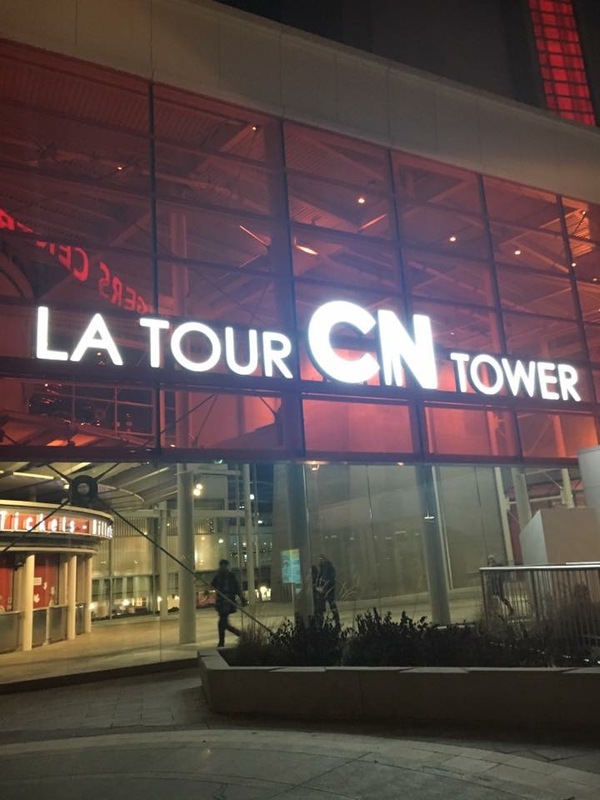 Inside the lobby, you see a model of the CN Tower (it’s still taller than my petite frame) with a backdrop that strikes lightning and makes lighting noises. 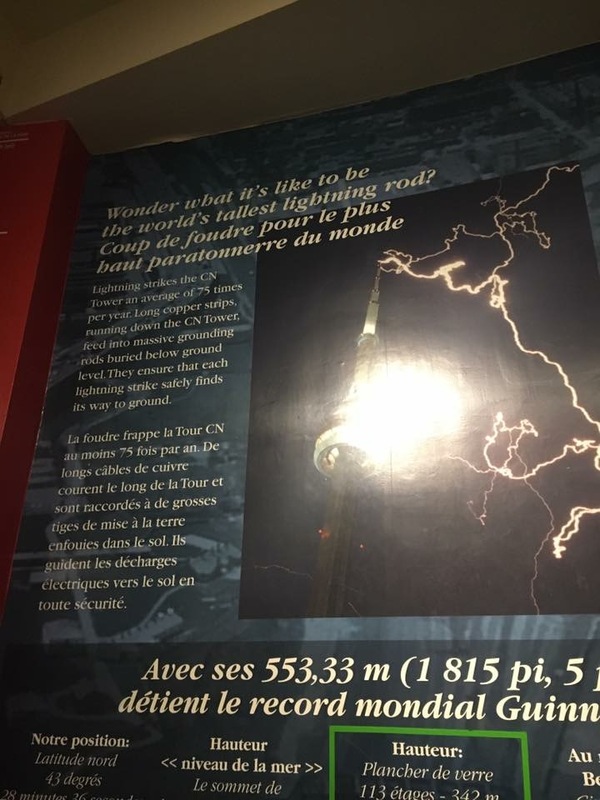 That is because the CN Tower is also Canada’s tallest lightning rod, which gets hit on average 75 times a year. 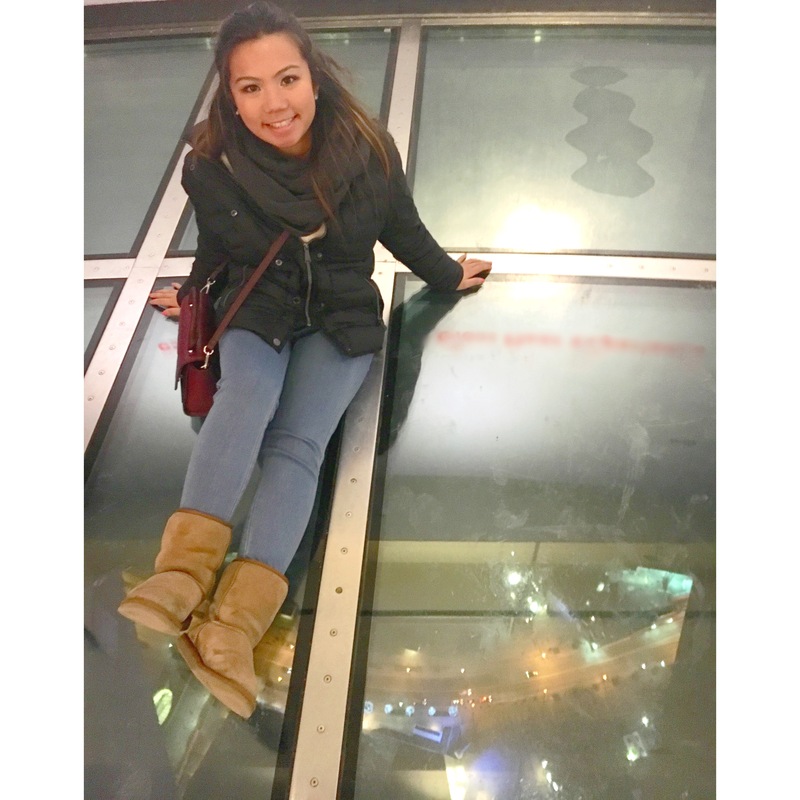 Once we got to the observation deck, we looked out the glass windows and man, it was a gorgeous view of Toronto. I took some amazing shots of it on my Canon camera and I’m still impressed. I felt like I was looking out of an airplane. This is just one side of the glass window. You can see a longer panorama of the whole city. 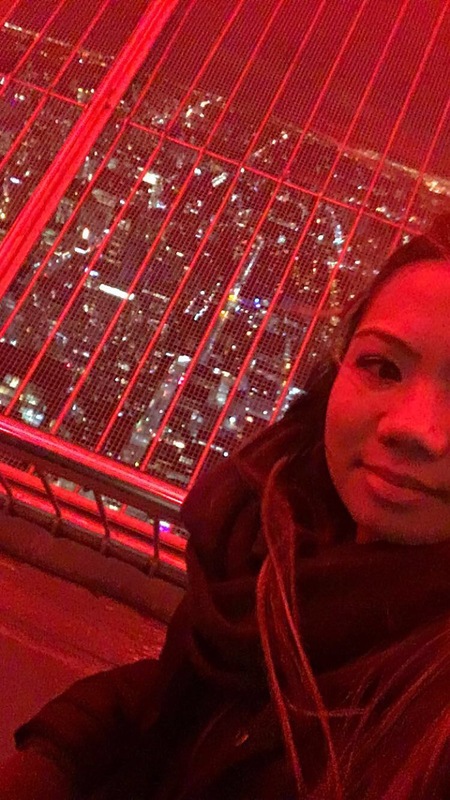 We stepped out to the observation deck, but in this time of the year as it’s in the coldest winter time, it was brutal with the cold winds hitting us. The winds were so strong on top of the tower outside that it was pushing me back if I didn’t try to resist. 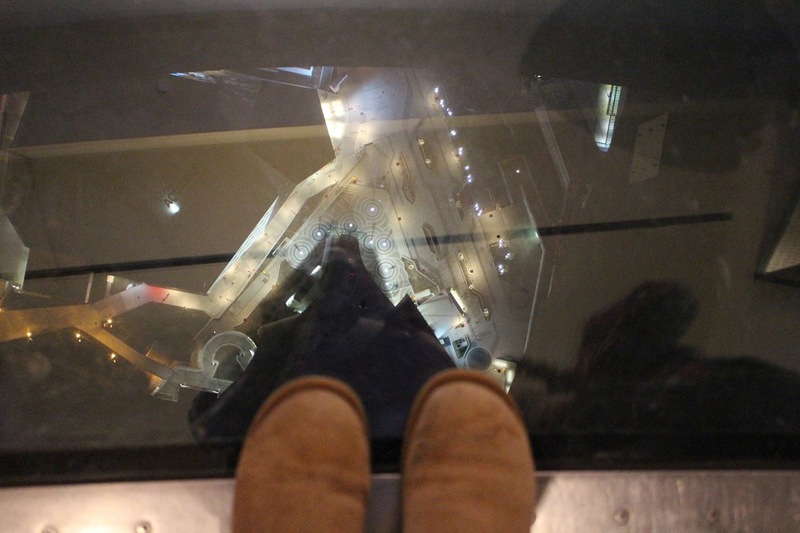 Afterwards, we went to go check out the glass floor. It’s one of the coolest things there is to experience the tower. You stand above 1,135 ft. I heard during the day it’s scarier. First look at it and I was shocked and felt more nervous. 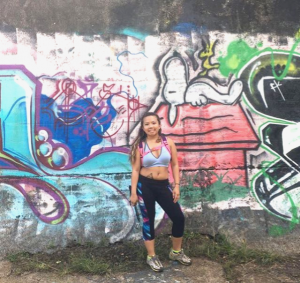 I was thinking to myself “I’m not walking on top of that!” My friend was scared too but we walked together and I thought, it wasn’t bad after all. You can lay on it, jump on it, and strut on it haha. The glass floor is so strong that it can hold up to 3.5 orca whales or 41 polar bears. Anyway, I hope you enjoyed this! 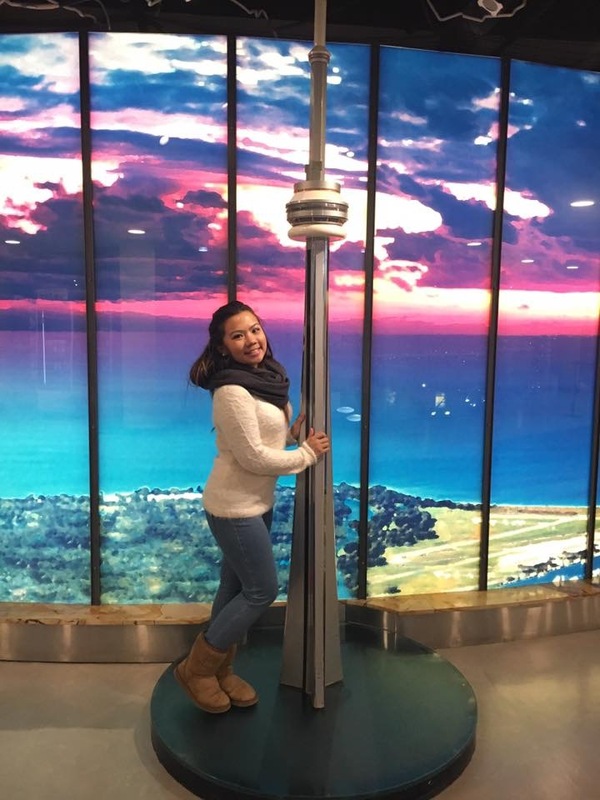 The CN Tower was a joy to visit.